SSC has released SSC JE 2017-18 Notification to recruit eligible candidates for the post of Junior Engineers Civil, Electrical and Mechanical Posts. SSC JE Recruitment 2017 is done by conducting an online exam for SSC JE 2017. Candidates are required to visit the page regularly to remain updated about any upcoming detail for SSC JE 2017 Exam. 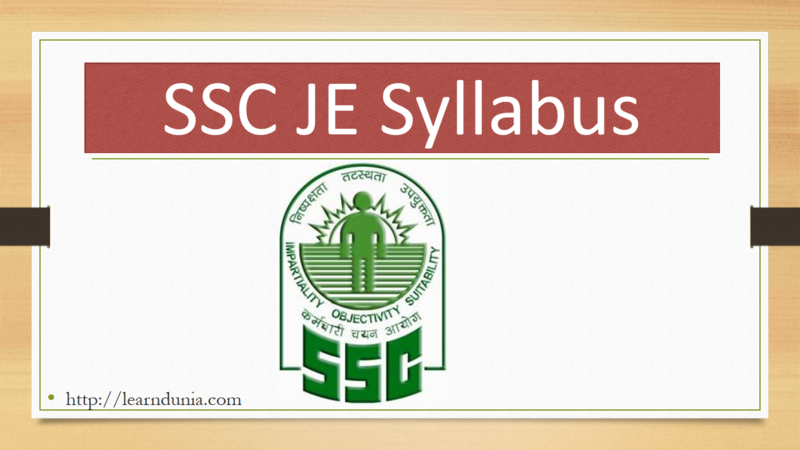 The Syllabus of SSC JE may cover the three major sections.